Vincenzo Romano was born into a poor family in June of 1751. Despite this, he was able to study. He was impacted by the life and teachings of Saint Alphonsus Liguori, and he developed a special devotion to the Blessed Sacrament. In 1775, he was ordained a priest. Vincenzo lived a very simple life. He spent his time in the service of others, caring for the poor and needy. 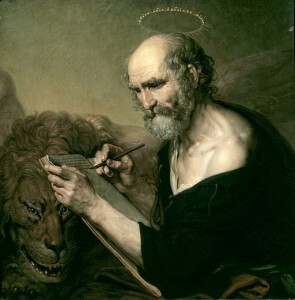 French invaders and various Italian political groups tried to discourage him in his work, but he remained committed to his ministry. After the eruption of Mount Vesuvius in 1794, Vincent helped organize volunteers to join in the work of rebuilding structures that had been destroyed. This included rebuilding his parish church. 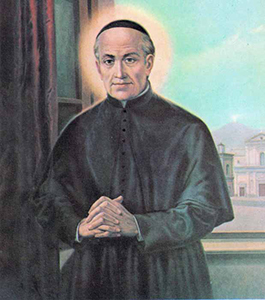 Father Vincenzo Romano died on December 20, 1831. On the path to sainthood, he was recognized for his heroic virtue. On October 14, 2018, Pope Francis canonized Vincenzo Romano. He is now a saint of the Church. Continuing the Conversation . . . Invite the children to fold a piece of drawing paper in half. Have them draw two pictures of themselves serving others. Then invite volunteers to share what they have drawn. Intermediate Grades: Saint Vincenzo Romano had a special devotion to the Blessed Sacrament. If possible, take the young people to the church and invite them to spend time in quiet prayer before the Blessed Sacrament. Conclude by singing a Eucharistic hymn or refrain or by praying together the Lord’s Prayer or another appropriate prayer. 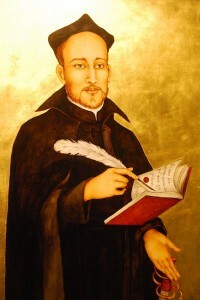 Junior High: Saint Vincenzo Romano was impacted by the life and teachings of Saint Alphonsus Liguori. Invite each student to journal or to write a brief reflection about a saint whose life and teachings have impacted his or her life. Encourage the students to think about their patron saints and the saints whose life stories are told in their religion textbooks. Conclude by asking volunteers to share what they have written with the class.